Carol S. Dweck’s work has made important contributions to science and society by engaging critical reflections on the self-beliefs that are crucial to the achievements and well-being of individuals. Dweck’s research addresses a fundamental human need for competence. By describing the motivational processes that affect learning and achievement, she shows how adopting a “growth” versus “judgment” mindset can importantly alter people’s achievement paths. Dweck’s empirical work has shown that seeing the self as consisting of a collection of fixed attributes (the “judgment mindset”) can blind us to our potential for future growth and discourage us from engaging in constructive behaviors to improve ourselves. In contrast, seeing the self as a developmental project in progress (the “growth” mindset) can light up paths to self-growth and excellence. Individuals who adopt a judgment mindset fall prey to the self-fulfilling belief that their initial failure signals the limits of their intelligence, when they encounter achievement setbacks, give up on challenging learning tasks prematurely and end up performing poorly in future achievement tests. In contrast, those who adopt a growth mindset learn from their failures to improve their ability. This elegant theoretical framework has been applied to address, for example, the achievement gaps between ethnic groups. Dweck shows that minority group members who are convinced to adopt a growth mindset also take a mastery-oriented stance to manage their achievement goals even in unfavorable learning environments. As a result they excel despite the obstacles they face. Dweck started her analysis of human motivation in the domain of academic achievement, but the impact of her works has since spread to many other domains. Analogous fixed and malleable beliefs have been identified in people’s beliefs about morality, personal character, romantic relationship, athletic ability, and self-control. Such beliefs have been shown to be the core assumptions people use to organize their perceptions, judgments, and reactions to situations in the pertinent domain. For example, Blacks holding fixed (vs. malleable) belief about intelligence are more susceptible to stereotype threat; people believing that relationships are predetermined (vs. cultivable) are more negatively affected by setbacks in their relationship; and people believing that personal character is fixed (vs. changeable) are more likely to view social identities as reified entities and use them to organize their self-conceptions and interactions with other social groups. In summary, Dweck’s research has addressed both theoretically important and socially relevant issues, providing answers to questions like: Why would girls be more likely than boys to show learned helplessness and depression? Why could praising children’s abilities be counterproductive? How do implicit theories serve as a social cognitive framework for understanding the relationship of culture and cognition? Would an intervention program that alters students’ lay beliefs of intelligence predict better achievement over time? The answers provided by Dweck’s rigorous research have been applied extensively in schools and organizations to empower students and employees around the world. 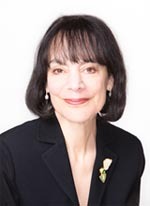 Carol Dweck grew up in Brooklyn, received her B.A. from Barnard College (1967) and her PhD in psychology from Yale University (1972). She taught at the University of Illinois at Urbana-Champaign (1972-1981, 1985-1989), Harvard University (1981-1985), and Columbia University (1989-2004), before moving to Stanford University in 2004. Dweck has mentored a long list of graduate students, many of whom have become accomplished scientists and academic leaders in social and developmental psychology. She has served on numerous professional committees. Her honors include the Distinguished Scientific Contribution Award from the American Psychological Association (2011), the E. H. Beckman Award from Columbia University (2011), the Leadership Award from the Klingenstein Center, Teachers College, Columbia University (2010), the E. L. Thorndike Career Achievement Award in Educational Psychology from the American Psychological Society (2010), the Klingenstein Award from the National Association of Independent Schools, San Francisco (2010), and the Ann L. Brown Award for Excellence in Developmental Research from the University of Illinois (2009). Her book Self-theories won the Book Award from the World Education Federation (an organization of the United Nations and UNICEF). Her more recent book Mindsets has been translated into numerous languages and published in many countries (Germany, Netherlands, Brazil, Taiwan, Japan, Korea, Denmark, Israel, and Norway). * The FABBS Foundation would like to thank Chi-yue Chiu, Ying-Yi Hong, and Elke Weber for nominating Dr. Dweck for this honor and for leading the effort to spread the word about her nomination. Would you like to honor Dr. Dweck? It isn’t too late to have your name added to the list of donors! You can make your donation to Dr. Dweck’s “In Honor Of…” campaign at any time.